Firepits and Pools – So Cool! By formpools|2019-02-07T20:12:36+00:00February 5th, 2018|Patio & Lounge Design, Swimming Pools|Comments Off on Firepits and Pools – So Cool! The old saying of opposites attract is definitely the case when it comes to fire and water. The stunning combination of these two natural elements can help invoke an inviting and relaxing atmosphere to any outdoor pool design. 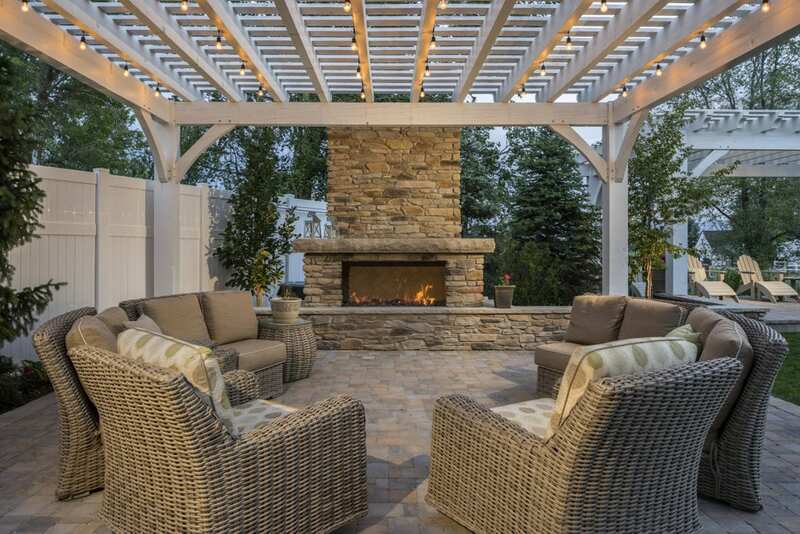 There are many different ways to incorporate fire into your outdoor spaces design. Here are a few of our suggestions. Nothing does a better job of transforming a bland poolscape into a dramatic outdoor oasis than adding a fire bowl or fire wall. Fire features are a bold design element that gives your space a warm and inviting ambiance with just a hint of drama! When creating outdoor spaces it’s important to organize and plan various for specific public and private areas. Since Fire pits and fireplaces are a great place for relaxed conversation creating a separate cozy space is ideal. If you live in an area that experiences every season, like we do here in Utah, your pool isn’t available for use all year round. But by creating a cozy space for gathering during the off seasons, you can spend more time outdoors even when the temperatures are low. If you would like to know more about how to incorporate fire features into your pool design you can view our work here (http://www.formpools.com/) or give us a call and set up your free consultation. Form Pools & Spas has over 20 years of experience designing and building beautiful pools and spas in Salt Lake County, Utah County, Summit County, Wasatch County, Cache County, Weber and Davis County.